Some applicants would do that to “make conversation” or to try to get on the adcom’s good side. Don’t fall into that trap; it can be interpreted as laziness or lack of knowledge about your intended school. Do your research before you talk or email the adcom. Schools put a lot of effort in designing their essay questions to get the information they consider important for deciding whether an applicant is a good fit for the school or not. They are aware that you are applying to multiple schools, but really dislike when applicants provide generic answers that do not address the finer details they consider important for their decision. Make sure to tailor your answers to fit with each individual essay question. There are some applicants who constantly call with inquiries throughout the application process. 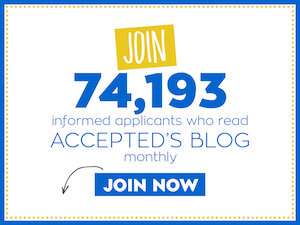 This is not only annoying but time consuming and can be detrimental to the outcome of your application. If you must contact the adcom, be strategic, and ask only what you can’t find anywhere else. If you were denied and the school clearly states that feedback is not provided, don’t demand it. insisting on feedback doesn’t mean you will get it and could end any chance of a successful reapplication. If you don’t know why they denied you, contact an admissions consultant. My colleagues and I would be happy to provide you with a Rejection Review diagnosis of your application. Also, never attempt to reapply to a school without understanding what went wrong in your previous application. 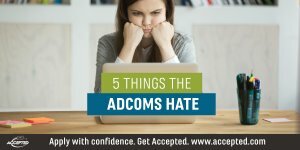 It’s understandable you want to know, but the truth of the matter is that the adcom cannot give you an evaluation on the fly. If they happily volunteer their thoughts about the strength of your candidacy, that’s great, but don’t put them on the spot asking them something they are not prepared to answer. Asking about your odds puts them in a very awkward position, particularly when those chances are low. Finally, don’t feel that you have to make yourself known to the adcom by sending them an email about you or your case. Hopefully, they have all they need to know in your application. If you must contact them, do so as you would a prospective employer, with a succinct email that is free of grammatical errors. Don’t make these mistakes! Work one-on-one with your personal admissions advisor to create an application that the adcoms LOVE. Check out our MBA Admissions Services to learn more about how we can help you get ACCEPTED. Last updated on May 6, 2018.